This story begins when I first rode my yellow 10-speed the whole one and a half miles to eighth grade on a county road outside Lewiston, Idaho–or maybe a little earlier than that. Helmets courtesy of my motorcycle-riding brother Don. 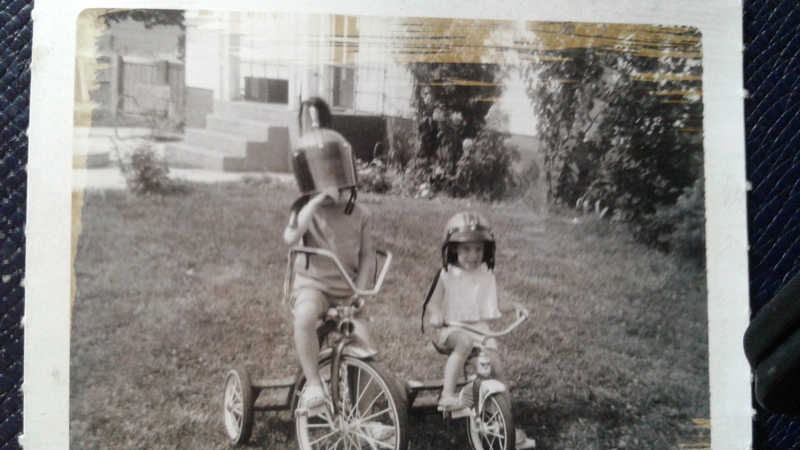 That’s me on the left; my little sister Julie is on the right. Or this story begins when some of my neighbors didn’t want a trail through our area and I did so I volunteered on the North Idaho Centennial Trail Committee. Or this story begins with Election Day 1994 when I lost my seat in the Idaho legislature. People asked what I was going to do next and I said what I wanted to do someday was run a nonprofit doing work I believe in. Or this story begins when the city of Spokane put a bike lane in front of my house on an arterial and I became Bike to Work Barb. Riding my road bike on the new Martin Luther King, Jr. Way in Spokane when it opened in 2012. The mayor’s office hadn’t planned bike participation in the opening ceremony (which was all classic cars) so I fixed that. Bike infrastructure creates an invitation. That bike lane invited me to go from an occasional weekend rider to a bike commuter, a little bit at a time. It was downhill to work, meaning that when I started home I discovered that someone had turned the hill around and it was now uphill. My first day of commuting it reached over 100 degrees. I made it pedaling about a block and a half up the hill on the return before I had to get off and push. When I pushed my bike into my driveway I was really glad to be home. I was also determined that one day I’d ride my bike all the way up that hill and into the driveway. And eventually I did. Now in my town–I’m betting yours is a lot like it–if you’re at all inclined to activism then going for a bike ride in rush hour traffic is enough to invite you into becoming a bike advocate. I got a little extra push when I discovered my town had something called a Bike Buddy — an expert commuter and League Certified Instructor you could contact for advice. She told me about the statewide bike organization in my state–something called the Bicycle Alliance of Washington. I’ve always belonged to organizations doing policy work I believe in, so naturally I joined. I rode some more. I rode some more. I went from sometimes to often to every day. I became “that person”: the one who shows up at Chamber of Commerce meetings carrying a bike helmet and peeling off gloves. I was bringing bicycling into places where it had been invisible up to that point, which is a form of advocacy. Joining the Bicycle Alliance meant I got an email inviting me to an event in the Spokane Valley to talk about what could make biking better in our area. By that time I had a biking boyfriend, Eric, who had bought me a real bike and I was ready for the 15-mile round trip on a busy road to get to this thing. At that event I volunteered to organize Bike to Work Week activities, which had not happened for decades. We blew out the walls beyond all expectations. I got appointed to the Spokane Bicycle Advisory Board. We got an updated bike master plan, the first-ever bike/pedestrian coordinator position created on city staff, Bronze level Bicycle Friendly Community status, a Complete Streets ordinance. We were rolling. I got appointed to more transportation boards and committees. I’d been in my job for over 14 years and I was ready for a new challenge–kind of like when you’ve been riding on a really long straight stretch and you long for the road to have at least a little bend in it–something to change the view and give you something new to work towards. 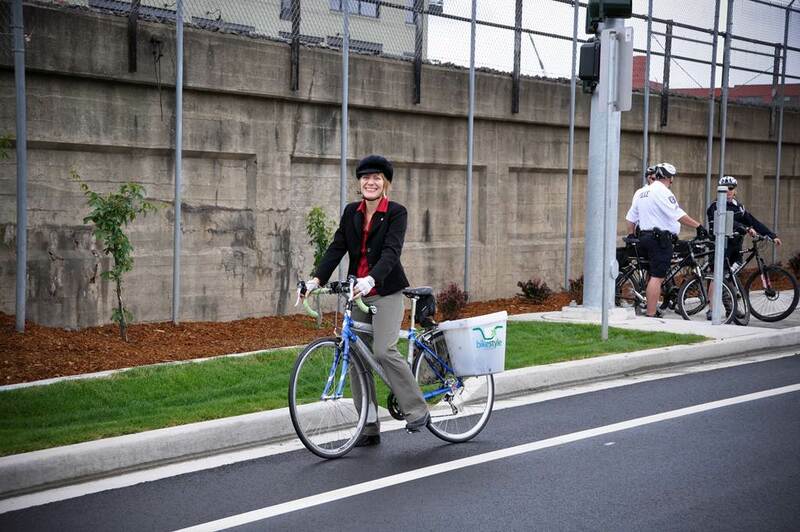 And then, I got an email saying that statewide Bicycle Alliance needed an executive director. I knew I could do this ride even if I’d have to get off and push once in awhile. We moved to Seattle and I got to ride up much steeper hills. It was a great ride for four years. Coming from eastern Washington I brought a new vision to what it meant to be a statewide organization and oversaw an organizational name change to Washington Bikes. With great work by Blake Trask as our policy director and other partners we passed bills and in 2015 won half a billion dollars (with a B) in our transportation revenue package–an all-time record–and then defended it when it was at risk. Future Bike Sept. 2014, “Inside the Advocate’s Studio” with Dr. Adonia Lugo as moderator, Keith Holt and I sharing our stories. Along the way I learned some things about how my own privilege made it a lot easier for me to get on that bike in the first place, with forces that had been at work for generations before I was born. That very bike lane that invited me to ride could be seen as a symbol of forces people like me benefited from while others lost out and that became something I committed to working on. That work to get BICYCLING FOR ALL is a ride we ALL need to join no matter where you’re starting from. Four years in there was a bit of a bend in the road. Washington Bikes merged with Cascade Bicycle Club, in the process creating the nation’s largest statewide bike nonprofit. 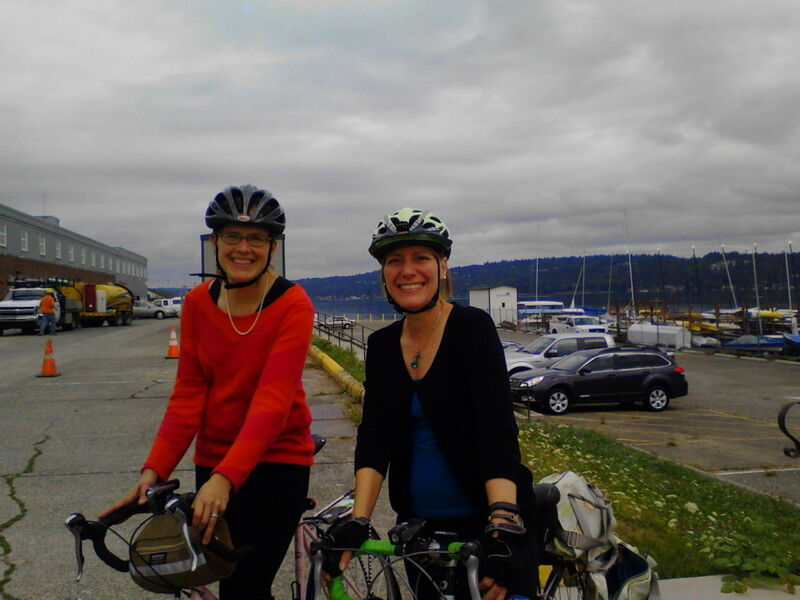 With Cascade Bicycle Club Executive Director Elizabeth Kiker at the grand opening of the new headquarters in 2014. Little did I know at the time that I would end up working in that space. I spent another year working on the new statewide mission for Cascade and our rebranding of the two, now that we had the new 501c4 Washington Bikes. We had been telling our state Department of Transportation that biking and walking needed to be elevated to the same level of recognition as other modes. They heard us and in the fall of 2016 moved to create a Division of Active Transportation at the same level in the agency as Aviation. Rail. Public Transportation. FREIGHT. Then the Cascade Executive Director Elizabeth Kiker said she was heading back to DC, where her heart was. I was facing a fork in the road. And you know what Yogi Berra said: When you come to a fork in the road, TAKE IT. When the job description for a new Director of a new Division came out I knew I could handle this ride even if I might have to get off and push a time or two. All the things I had done had me pedaling toward that next bend and up that next hill. Getting on my bike changed my career trajectory. 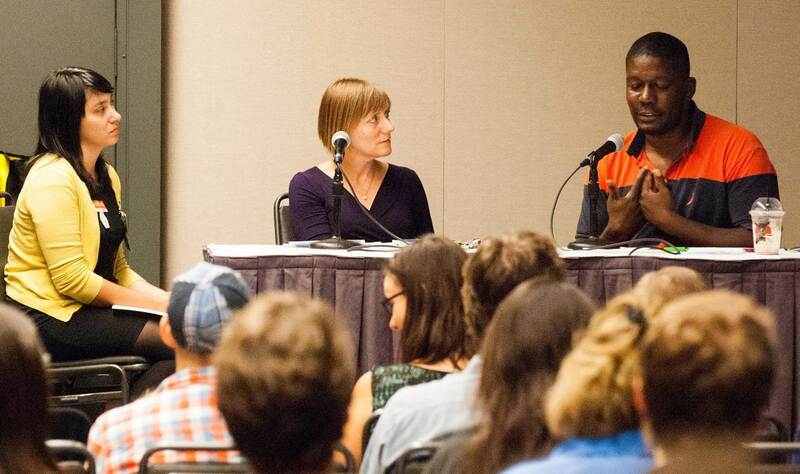 It changed the shape of bike advocacy in the state of Washington. It changed the state transportation agency and we’ll see more changes as a result. And it did one more thing: I met that guy named Eric because we shared an interest in biking, and in July of 2017 we celebrate our 10-year anniversary. Talk about making some sweet lemonade!